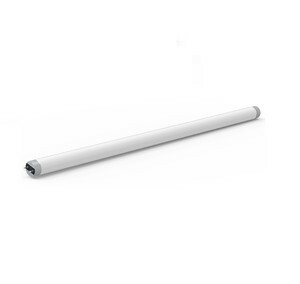 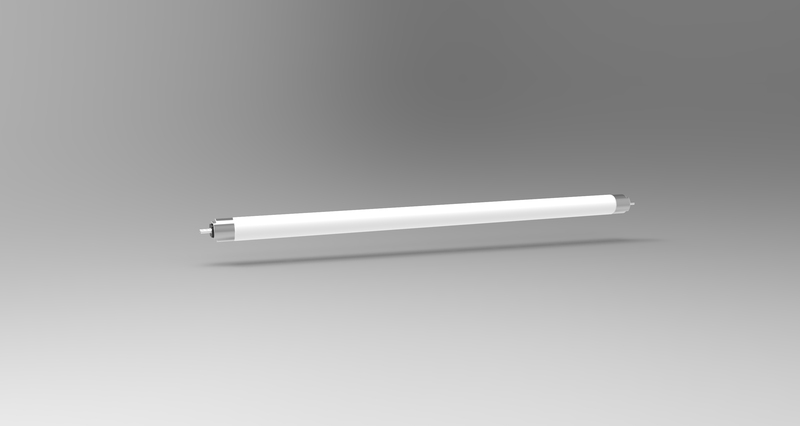 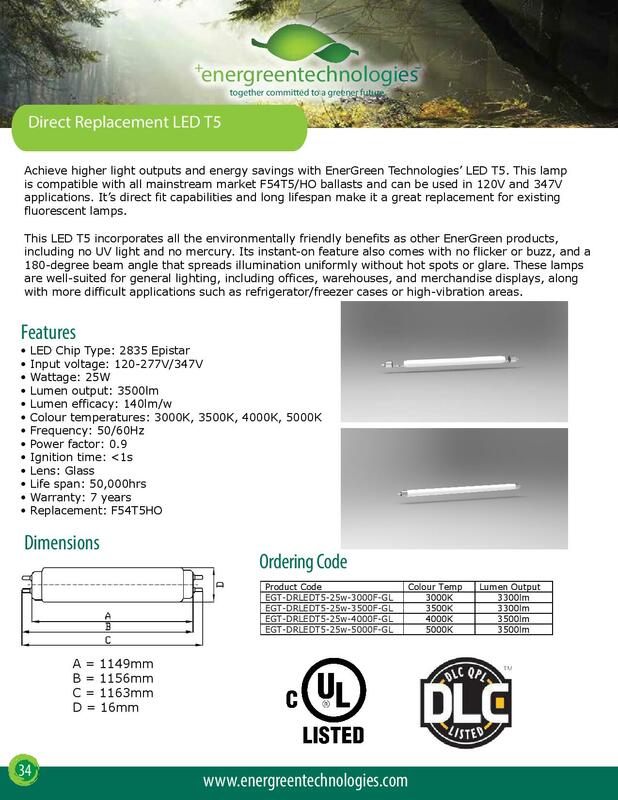 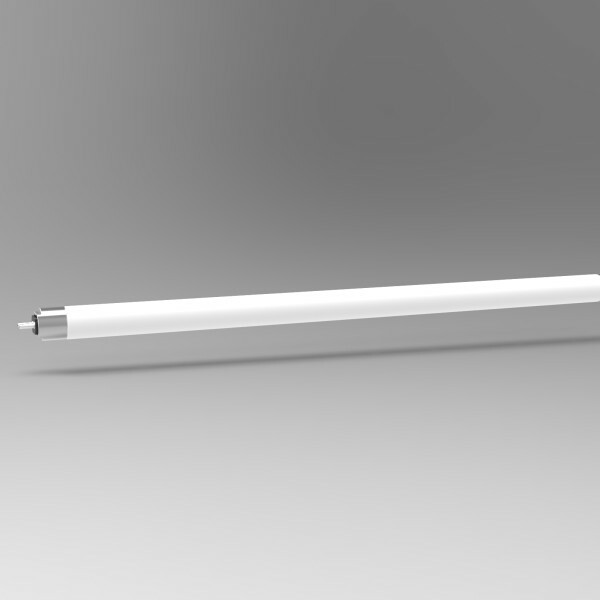 EnerGreen’s direct replacement LED T5 does not require any fixture re-wiring to install – simply remove the existing fluorescent T5’s and plug in the LED T5. 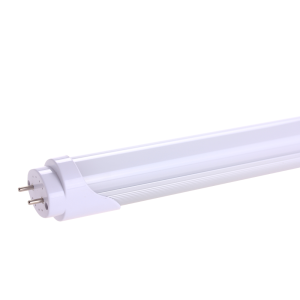 Ideal for replacing F54T5HO’s, each lamp is 3500lm and carries a low lumen depreciation, maintaining brightness over its 50,000hr+ lifespan. 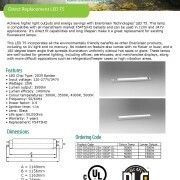 These lamps are DLC-listed and have a 7-year warranty.